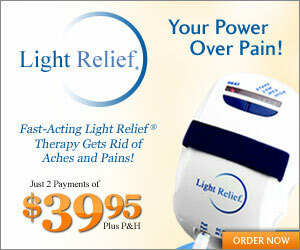 Light Relief uses infrared light emitting diodes (LEDs) to direct a powerful stream of warm therapeutic light deep into tissues. This increases circulation and relieves aches, pains and stiffness in muscles and joints. Light Relief increases blood flow to sore tissues so you can enjoy the freedom, comfort and flexibility you once enjoyed.